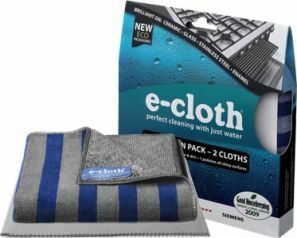 e-cloth's Hob & Oven Pack is all you need to clean your cooker - tackling grease and heavy cleaning with just water. The Polishing Cloth will leave a sparkling finish. Fast and easy. One cloth removes dried on grease and dirt. One cloth polishes shiny surfaces.